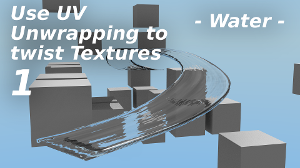 In this tutorial, I show you how to get water flowing using only procedural textures and UV mapping! Check it out! In this tutorial I do take you through the entire process from Make Human to this toon shaded anime look. And I show you how to make a simplified background, so you have a more painterly look. 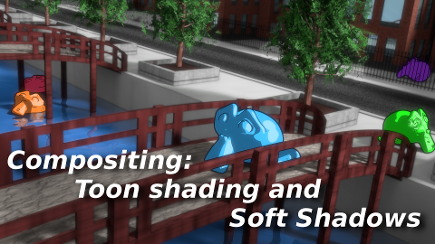 Making an ocean shore is one of the biggest challenges in CG, almost like caustics, but in this tutorial, you get to learn one way of making it! Check it out!! 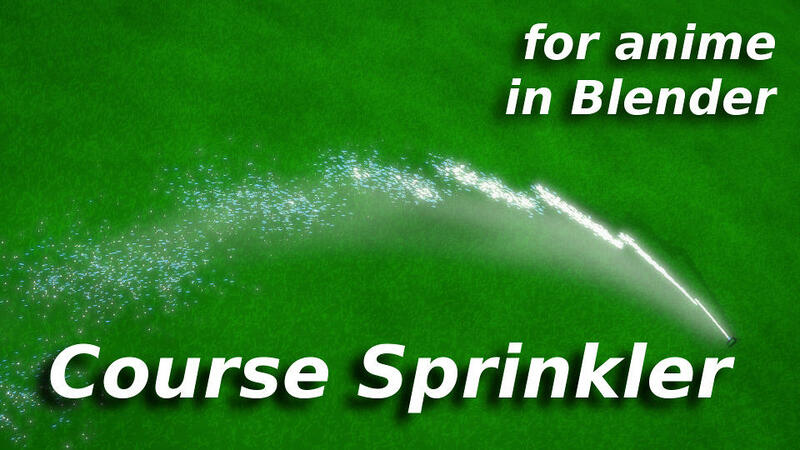 Learn how to use Dynamic Paint and modifiers to generate wake waves and ocean foam! 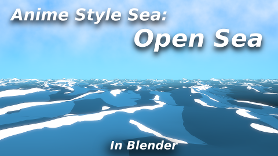 An open sea, though simple, is not as simple as plain toon shading! 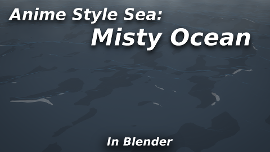 Learn how to use the ocean modifier in this beautiful way! Check it out!! An open sea still, but the ocean has a way of color shifting and this is just one example. Though simple, it is stunning to set a mood. Check it out!! A very difficult task, but you will luv how simple this is at the same time! This one covers some of the methods that you can use with Freestyle to get some really amazing and flexible results. 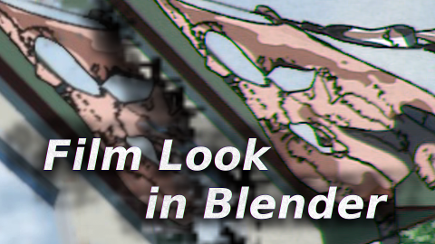 This is a must for anyone doing any kind of animation in Blender!! There were no really thorough explanations on how to deal with 3D Side-by-side content after they had removed the tick box... Now, I get to share with you guys the solutions GOD gave me and you'll be amazed how simple it really is! This is a must for every one looking into 3D content creation! 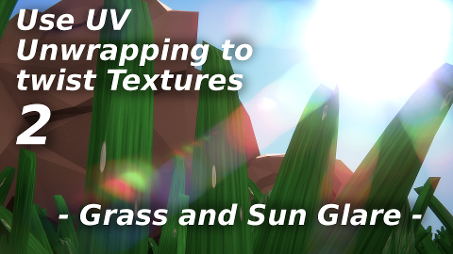 In this tutorial, I show you how to make grass using UV Mapping and create the sun glare in the image above! Check it out! 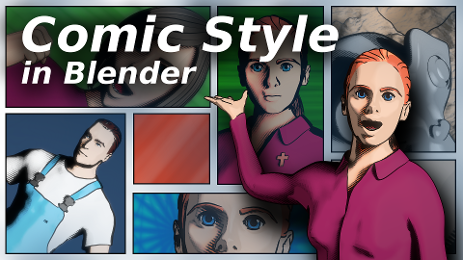 In this tutorial, I get to show you how to achieve a comic, or graphic novel, style look in Blender. 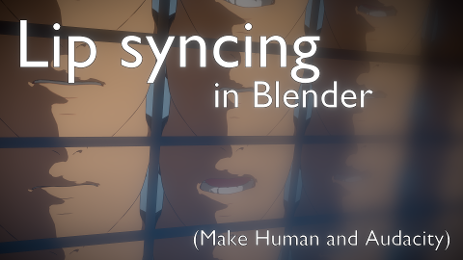 This is ideal for single renders, but should be interesting for animations too. Check it out! In this tutorial, learn how to make your footage have a bit of a nostalgic feel, by making it look like film! A very simple and quick technique that I also show you to make a node in your default project, so you can use it easily later on. Check it out! A short tutorial, but packs quite a punch. 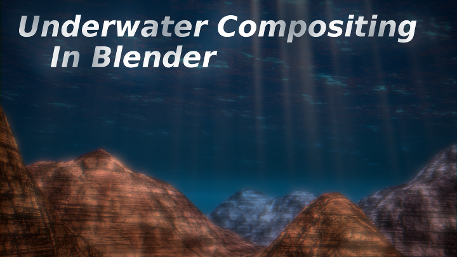 I show you in this one how to achieve an underwater look using Blender's often feared compositor. Do not fear, instruction is here, hahaha. Check it out! 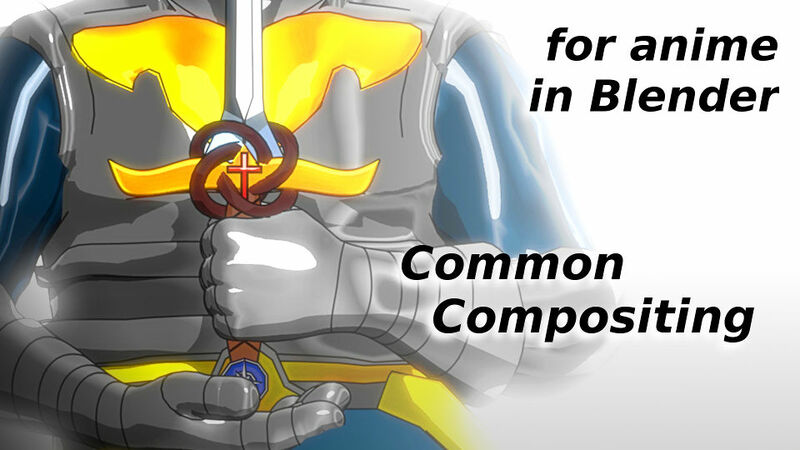 A great tutorial, born of GOD to help you combine toon shading and smooth shadows. You'll be amazed at how easy it really is! Check it out! 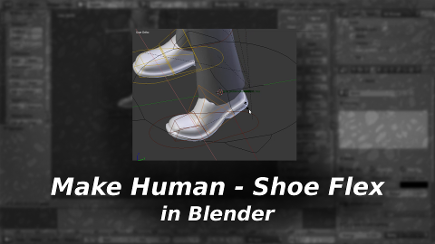 A very quick tip showing you how to fix shoes from Make Human, so they flex, instead of acting like wood. For anyone who has struggled with this issue, this video is a must watch! In this one, I get to help you guys with lip syncing like GOD helped me. Through HIM using others, HE showed me how to get started, using baked audio and then leading me HIMSELF to finishing it off. I believe this will really help you guys get lip syncing done in a speedy manner! Cycles Render, a render engine built for realism, can surprisingly, give you the exact same look as Blender Render! In this tutorial, I show you how to achieve exactly what you see here. Cycles has great potential for NPR and especially for renders in the style of Blender Render at much greater speeds, because it supports GPU. 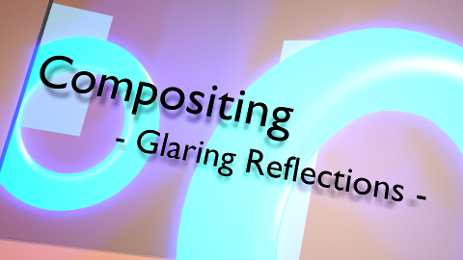 Find out in this tutorial how to apply toon shading in Cycles in a very proficient manner! Check it out!